Terminalia chebula is called the "king of medicines" in Tibet and is one of the prime Ayurvedic herbs from India because of its extraordinary healing powers. It is actually the dried fruit from the Terminalia chebula tree, also referred to as Haritaki. This fruit is best known for its health benefits within the digestive system. 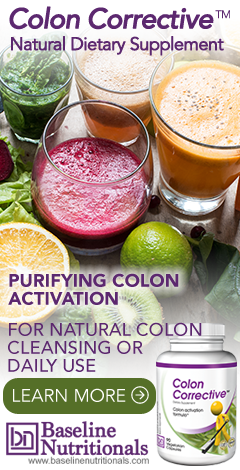 Traditionally, it is found in natural colon cleansers (such as Jon Barron’s Colon Corrective formula) and used to address constipation, digestive disorders, irregular fevers, flatulence, ulcers, vomiting, colic, and hemorrhoids. It may also help with other gastrointestinal ailments such as tumors, ascites (abdominal swelling), piles, enlargement of the liver or spleen, worms, colitis, and food poisoning. Modern research has found that Terminalia has a strong effect against the herpes simplex virus (HSV) and exhibits strong cardio tonic properties. It also has antioxidant components, which indicates it can increase the life of tissues. Another study shows the anti-tumor activity of Terminalia, and yet another study shows that it has considerable effect in inhibiting the HIV virus that ultimately results in AIDS. While the key benefits of this herb are typically found in herbal formulas, the fruit offers additional health benefits when used in other ways as well. For instance, a topical paste containing the herb can be used to provide relief to the eyelids in cases of conjunctivitis. A paste of the fruit is also used to help clean wounds and ulcers and to speed up the healing process. In astringent form, it may be helpful with dental issues such as loose or bleeding gums. You’ll find this herb in a variety of forms from powder, capsules, and tablets to actual dried fruit. It’s most commonly found in Ayurvedic shops, but is also available online. While no negative side effects are typically associated with this herb, it is not recommended for pregnant women or for those with a weak immunity, lean body or alcoholics, mostly due to its laxative effects. How to use to get rid of insects.